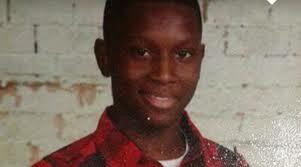 On August 7th, 2015 14 year old Radazz Hearns was shot 7 Times in Trenton, NJ by State Police while he was running from them unarmed. Two State Police Officers and a Mercer County Sheriffs officer approached Radazz Hearns and his friends and began questioning them after a report of shooting at near by apartments.When Police began questioning Radazz and the two other males, Radazz began running from officers but policed fired at Radazz shooting 10 rounds. Seven of those bullets hit the teenage boy, putting him in critical condition and in Regional Hospital. A .22-caliber handgun was recovered nearby from under a car on Calhoun Street 12 hours after the shooting, on a dark side street. An eyewitness sitting on her porch said that Radazz was running and was pulling up his pants waist as he was running and saw no intention of him pulling out a handgun.The Hearns family is seeking an active investigation by the NJ attorney general. The officers have been placed on Administartive Leave as the investigation begins. I’ve been doing a lot of inner city traveling this summer, and after this past African American Cultural Festival in Trenton this weekend, we are a culturally diverse autonomous community but in that we have legacy. We know we’re Black, African descendants along with Native American. Our legacy of Blackness is expressed in many different ways and comes in many different shades we know this.Yet, cities across New Jersey all share one common thing poverty and our communities legacy to overcome poverty and racism. Across Trenton, Irvington, Patterson, Newark, Camden, Jersey City, Rahway, Elizabeth it doesn’t take long to find an abandoned building and organizations willing to push Black communities out of their own city, gentrification..marginalization. I am so proud of what my generation was able to do. We were the first generation to elect a Black President and the generation continuing to challenge presidential candidates #blacklivesmatter. 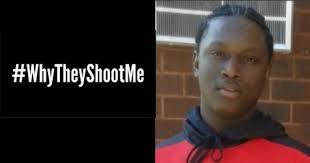 So when we start letting kids get shot at under police brutality then it is an issue we need to address. Because Black Lives Do Matter. Next Post We got 99 questions and Justice ain’t one? !